SYDNEY, AUSTRALIA / ACCESSWIRE / April 3, 2019 / It’s a profound moment when heaven meets earth. Each year, countless people arrive at Presence Conference empty, only to leave filled with the fire of the Holy Spirit as they experience God’s glory revealed. Hosted by C3 Church in Sydney, Australia, the mission of this life-changing event centers on moving forward in faith with power and authority to transform lives through the message of the Gospel. Founded in 1980 by Phil and Chris Pringle, C3 Church has expanded to become a global moment with over 100,000 members and a growing reach that spans 530 campuses in 64 countries. Through dynamic, Christ-centered teaching, they have built a strong community of faith by encouraging the local Church to draw close to Jesus and connect with others to create life-giving relationships. April 23-26 will mark the first time Presence Conference is partnering with Daystar Television Network, headquartered in Bedford, Texas, to broadcast the event to over 5 billion people around the globe. The network hopes that through these programs the impact of this conference will be multiplied as even more hungry hearts are filled with the love of God through this empowering experience. 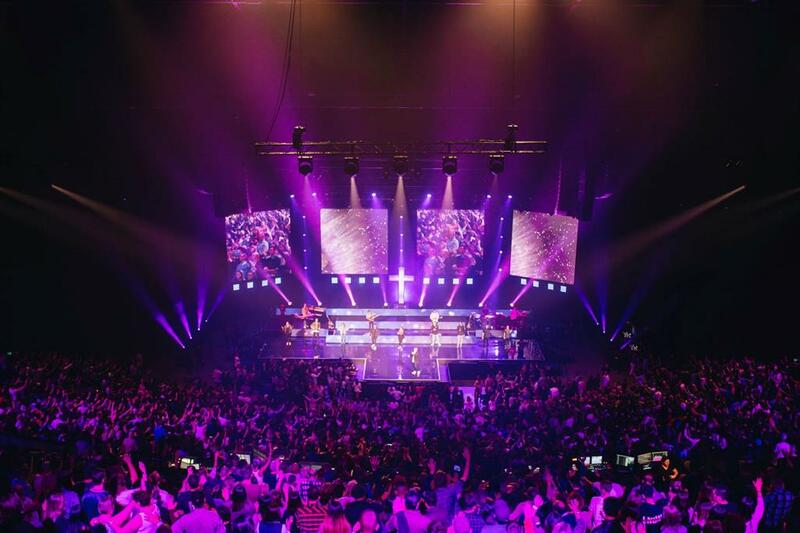 With worship led by acclaimed artist Darlene Zschech and sought-after speakers including, Phil Pringle, Chris Hodges, Charlotte Gambill, Tim Ross, and more, Presence Conference promises something for everyone. From imparting purpose to increasing vision, people across the earth can expect an encounter with heaven as God’s glory is revealed. For more information on Presence Conference 2019, you can visit PresenceConference.com. To watch the conference live on Daystar Television Network, go to Daystar.com/Presence or check your local listings. Daystar Television Network is an award winning, faith-based network dedicated to spreading the Gospel 24 hours a day, seven days a week – all around the globe, through all media formats possible. Reaching over 109 million households in the United States and over 5 billion people worldwide, Daystar Television Network is the fastest growing faith-based television network in the world. To learn more, visit Daystar.com. At C3 Church, who we are and what we do is built on a foundation of faith, hope and love. Our goal is to support people from all walks of life as they grow deeper in their relationship with God through Holy Spirit empowered, Bible-based services filled with dynamic messages and powerful worship. At your local C3 Church, you will find life, community and friendship. Most importantly, our mission is to help people find Jesus. Now, with over 500 churches in 64 countries, we are seeing God’s love and power stretch across the globe.